Hop Industries, manufacturer of the durable Hop-Syn synthetic paper today announces the availability of its 2019 product guide and samples book. The Hop-Syn resource features its range of environmentally-friendly synthetic paper grades, and now includes a companion guide with how-to articles that address the multitude of processes and applications for the durable substrate. The 24-page resource also includes samples of Hop-Syn synthetic paper grades and gauges. The guide book is free, and will be distributed at Hop’s booth at Labelexpo Americas 2018, booth #1650, September 25-27, PRINT 2018, booth #556, September 30 – October 2, and SGIA Expo, booth #3911, October 18-20, 2018. “Our latest Hop-Syn guide is a helpful resource for new and existing customers. 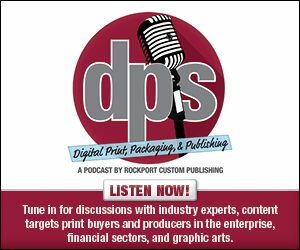 It provides readers with an overview of the wide range of applications for Hop-Syn, along with tips for achieving the best print results,” comments Jack Smith, Senior Vice President of Hop Industries. The 2019 resource includes Hop-Syn’s featured grades, G1, G2, XT, TO, DL and BL, which are available in a variety of roll widths, sheet sizes and gauges for numerous applications. Major brands and print service providers (PSPs) use Hop-Syn synthetic paper for P‑O‑P displays, menus, book covers, ID cards, banners, transit signage, and more. Hop-Syn is constructed from polypropylene (PP) resins and calcium carbonate (CaCO3), which provide extra durability and weather resistance over pulp-based papers. The substrate is free of toxins, heavy metals and chlorine. It can be printed via offset litho, UV offset, flexo, screen, UV inkjet or thermal transfer equipment.